Video files can take up a whole lot of space on a mobile device. 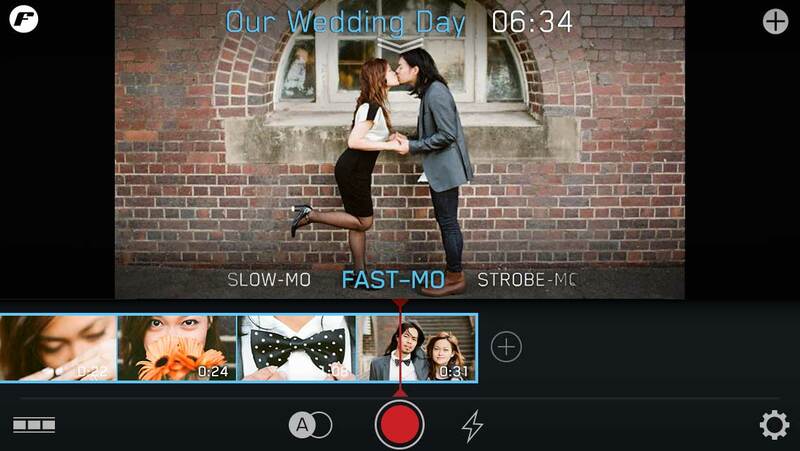 So that’s why we designed Filmakr to make it quick and easy for you to get videos off your phone and free up space. Our approach to iPhone backup is simple, but with many options to choose from. 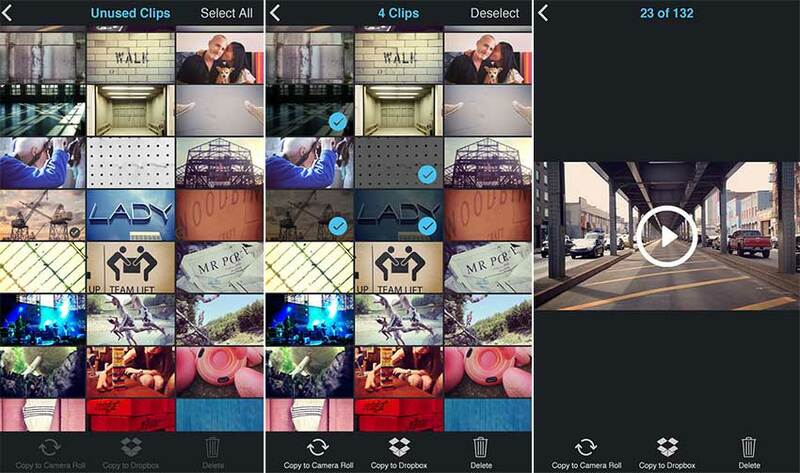 IMPORTANT RULE 1a) Filmakr stores all your film project’s video, photo and audio files inside the app’s Filmakr Mag. IMPORTANT RULE 1b) When you drag the clip up and over the video area to remove that clip from your Filmstrip, you do not delete the clip from your device hard drive. The clip remains available for import from the Filmakr Mag and/or remains in use in another film project. IMPORTANT RULE 2) When you delete your Film Project via the Films List Screen, you do PERMANENTLY DELETE both the Film Project *and* all media associated with that Film Project EXCEPT a) any media still in use by another Film Project and/or b) media that has been removed from a project and is not being used in any project; these files have been sent to the Unused Media Library. • Filmakr presets finish your film before you start it. 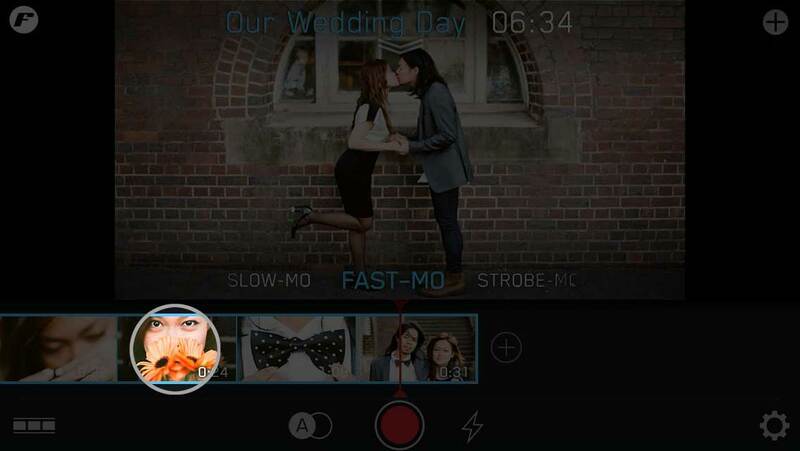 • Our pro manual video camera app shoots clips directly into your timeline. • MAKE your film with one tap. Boom. Your done. • Yet when you do need to make tweaks, Filmakr is a powerful in-line video editor. All this means we track each and every bit of media following IMPORTANT RULE 1a, and other than deleting your Film Project with Media as per IMPORTANT RULE 2, the next most likely media management step you are likely to take initially is to REMOVE A CLIP FROM YOUR FILMSTRIP. Filmakr toggles between a CAMERA MODE and a PLAYBACK MODE. When you see the red RECORD BUTTON Filmakr is in CAMERA MODE. 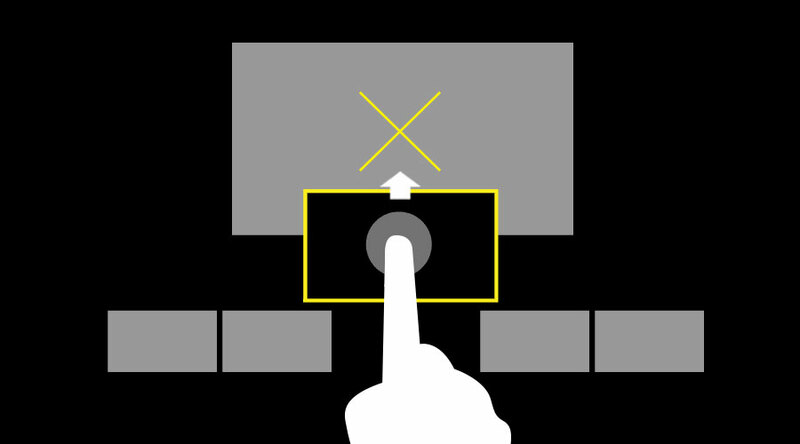 When you see the white SHUTTER closed over the record button Filmakr is in PLAYBACK MODE, the mode in which you can play and edit your loaded film project. Next, to enter Playback Mode just touch your Filmstrip. Drag up to remove a clip from the filmstrip. This does not delete the original clip. Access your FILMS LIST by tapping the F button in the upper-left corner of the Main Screen. The top-center of the Films List displays the number of film projects you have created. Tap here and the Available Free Space on the device will display as a result. Most of all we are proud of how easy it is to delete your film-project-with-media. Simply tap the Trash Can Button. Then an alert displays asking “Make Free Space on this device?” Tap YES or NO. – When you delete your Film Project you DELETE ALL MEDIA USED IN THAT FILM which is not currently being used in another project. – Media (video clips, audio files, photos) which has 1) been Removed and Saved from a filmstrip and 2) is not currently being used in another project is stored in the UNUSED MEDIA repository. 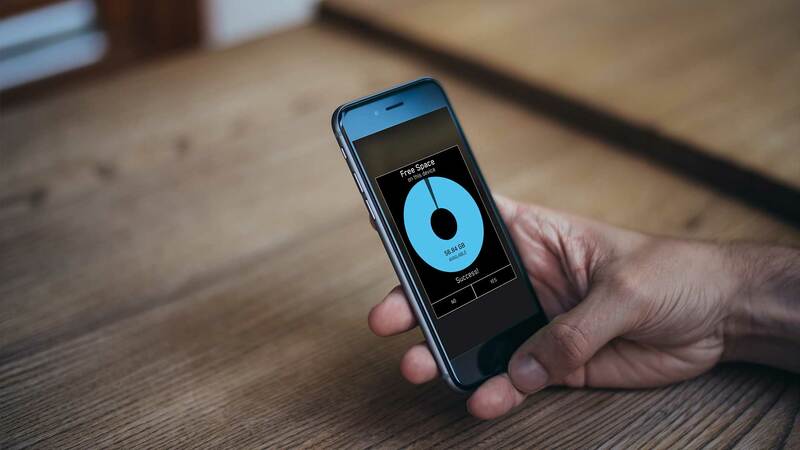 The Unused Media repository is another nifty design addressing your iPhone backup needs. Just below the last film in your Films List, if there is any media not currently being used in any film, you will see the UNUSED MEDIA repository. 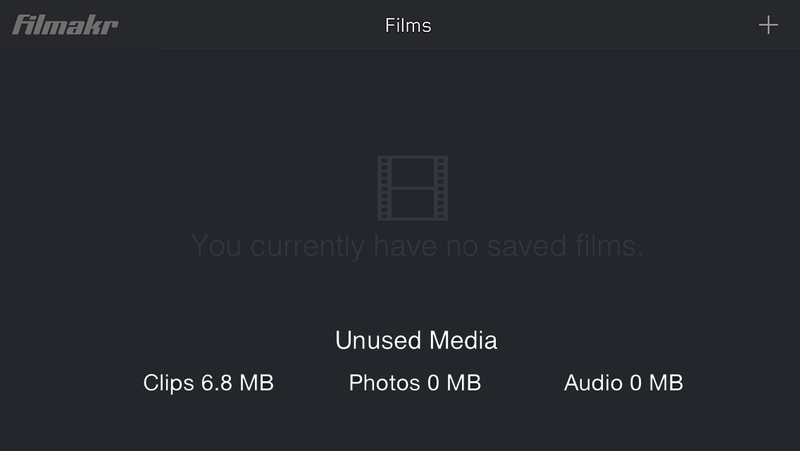 Tap on Clips, Photos, or Audio to drill into those categories of Unused Media libraries. 1. Copy media to the Camera Roll or to Dropbox. 3. Double-tap to playback media and review it. Copy All Clips copies all video and photo media to your device Camera Roll. 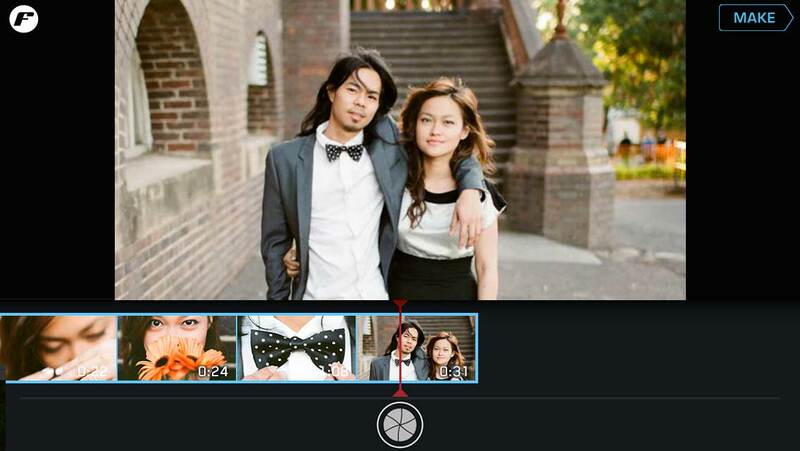 Then tap on the CLIPS button to copy all the video and photo clips from your film to the Camera Roll. Another killer Filmakr feature, Dropbox Sync automatically copies all media to Dropbox as you add media to your project. Tap on the SYNC button to copy ALL THE MEDIA from your film to Dropbox. SOME GREAT NEWS: After you copy your media to Dropbox, when you delete the film-project-plus-media from your device, Filmakr does NOT delete your copy on Dropbox. Yeah!